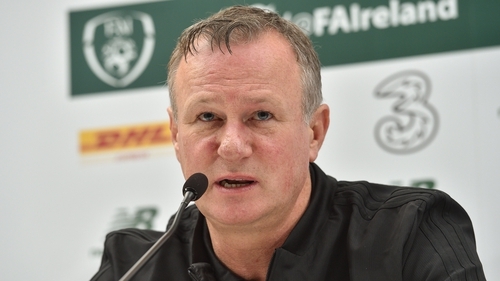 Michael O’Neill has insisted that the Northern Ireland national team ‘is for everyone’. O’Neill’s comments come days after a video appeared online showing a number of people in Northern Ireland jerseys singing sectarian songs. They chanted ‘we hate Catholics’, everyone hates Roman Catholics" to the tune of Tiffany’s eighties hit 'I Think We’re Alone Now'. It is believed that the video, which appeared on social media, was taken in a Belfast bar after Northern Ireland’s 2-1 Euro 2020 qualifier win over Belarus at Windsor Park. The Northern Irish Football Association condemned the chanting at the time and said that if they perpetrators could be identified they would be barred from buying tickets to future games. And now Michael O’Neill, who himself is from the nationalist community, has condemned their actions. "There’s certainly no place for that kind of behaviour, but I can’t dwell on that because it’s one or two idiots and they’re not a reflection on the 99.9% of the support," said the former Shamrock Rovers boss. "As I’ve said all along, the Northern Ireland team is for everyone and that’s the message - we’re stronger together and we’ll continue in that vein." Northern Ireland have started their Euro 2020 qualification campaign well, beating Belarus and Estonia in their opening two Group C games to sit on top of the group. Tougher challenges lie ahead though, with Germany and the Netherlands two top seeds in the pool.